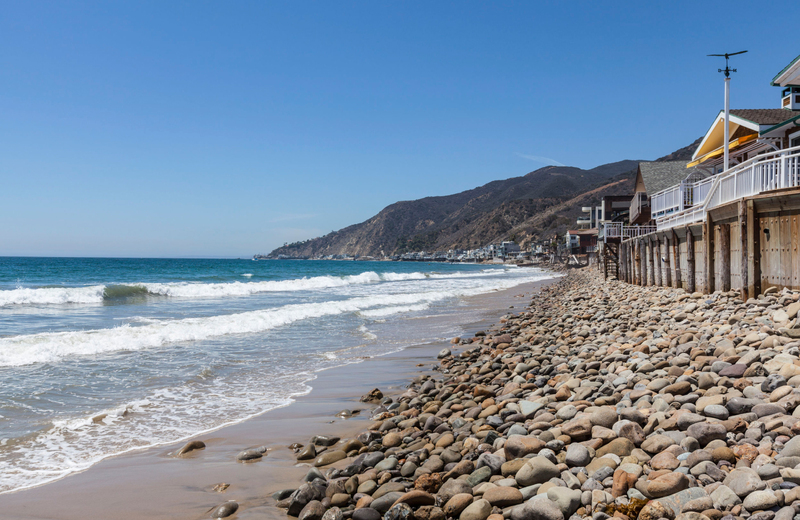 Malibu: where the millionaires try to keep up with the billionaires (and stay at safe remove from the swarming masses). For several years now, locals have tried to thwart the infiltration of non-residents in many of these semi-private beach communities, but their phony no parking signs were taken down by the city and can’t keep us away – not when we need a beach day. At the northern tip of the Santa Monica Bay, Point Dume is a not-so-secret windblown bluff well worth the drive. Lie in the sun, swim in the ocean or hike up in Headlands Park where you can see all the way to Palos Verdes and Catalina. Another great day hike in Malibu is in Corral Canyon. It’s only about a ten minute drive up the windy road toward the giant sandstone formations (which wouldn’t be out of place in Southern Utah). Ponder the logistics of the old rusted car half buried along the trail, and see if you can find Morrison's Cave, a well-hidden spot just off the main path where the Lizard King used to go to get away from the stress of being a rock star. Legend has it he was responsible for carving that skull into the rock (and it's still there). In fact, so many people have painted the inside of this cave over the years that it’s become a virtual rainbow womb of graffiti – and a great lookout to boot. After a long day in the sun you probably will have worked up an appetite. So why not stop at Malibu Seafood north of Pepperdine for some steamed shrimp and fried fish? A little farther south, the Reel Inn by Topanga Canyon is a great spot, too. They’re both notorious for drawing big crowds (and you have to stand in line to order) but you need seafood!